A wonderful detail for a bedroom wall or Spanish nursery decor. 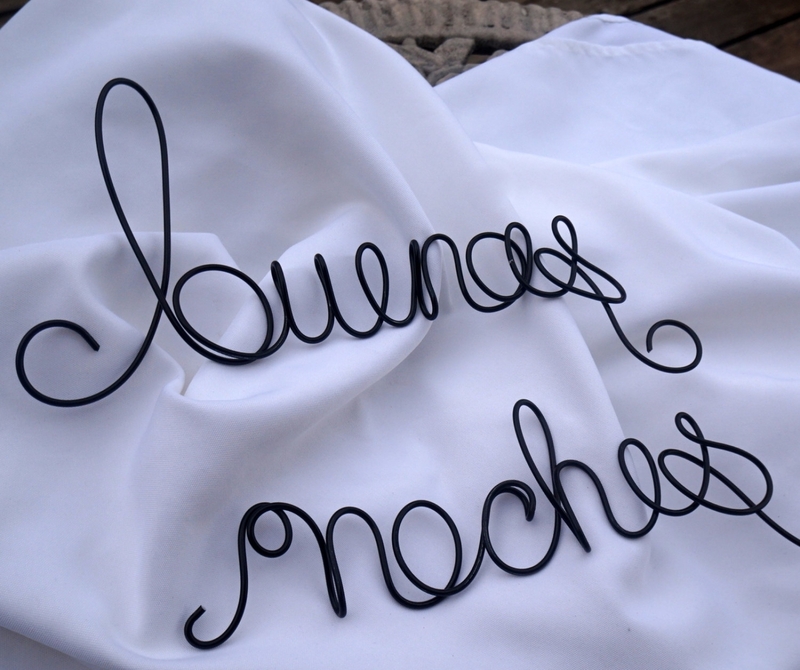 Modern wire wall hanging hand scripted to say "buenas noches" as two pieces. Each piece measures about 18 inches in length and 6 inches height of tallest letter. Crafted with very heavy gauge wire. Not wimpy and will not unravel. TOTAL DIMENSIONS: Approx 6 inches high x 36 inches. Lead time of 7-14 business days. Made to order and ships Priority with delivery confirmation.